The online survey asks county residents questions about how close they live to the Trades Center, whether noise from the county-owned industrial site bothers them, asks for their feedback on services offered at the lot, as well as what residents would like to change. Many county departments stored equipment and operated maintenance facilities on the 38-acre site since the 1950s. However, the “siting of operations and offices developed when space was abundant. Now, room for growth is limited given the developed surrounding area, while service levels have increased in size and complexity” according to the county’s announcement about the survey. Residents will be able to fill out the survey until Thursday, April 4. 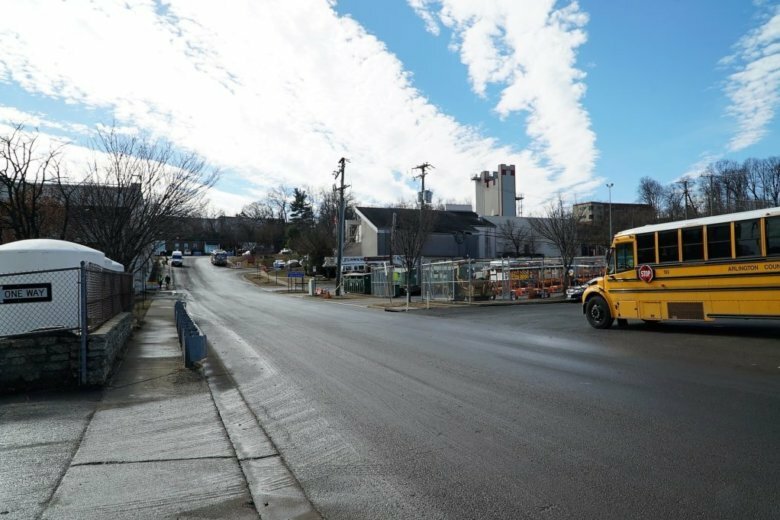 The county has discussed ideas to free up space at Trades Center for years, particularly for APS which added 40 buses to its fleet between 2011 and 2016 as enrollment continues to grow. County staff warned that overcrowding was “impacting service delivery” for APS buses and other vehicles in a 2016 presentation. Last June the County Board approved a five-year agreement letting APS park maintenance vehicles and staff’s personal vehicles at the county’s “Buck site” property at 1425 N. Quincy Street in Virginia Square instead of the Trades Center. In May, the Board also greenlit a plan allowing APS to park its “white fleet” of special vans and buses at Buck site. But shifting some APS parking to the Buck site was “not a long-term vision” to solve the chronic crowding at the Trades Center, Board Chair Christian Dorsey said after the 2018 vote. The county has hired Canadian-based engineering consulting firm Stantec for help surveying Arlington residents and county employees to find that solution. The Board is scheduled to present potential solutions publicly this summer, and following a several-month review period, is scheduled to present their final plan this fall.